High pressure drain jetting is the fastest, most economical and environmentally friendly approach to keeping your drains clear of blockages and problem free! With drain jetting, high pressure water is forced through the sewer, cleaning the interior of the drain. One of the biggest problems we encounter when dealing with drainage problems is the deposits of fat and grease collected inside the drains. Much the same as cholesterol build up in your arteries, the diameter of drains continually reduces with fat and grease build up, until the drain becomes blocked. Drain jetting is a fast, effective way of clearing this kind of build up from your drains. The duration of the drain jet cleaning depends on the length of drain; diameter, configuration and amount of deposit build up within the drain. The drain jetting duration won’t be more than several hours, and will deliver you years of problem and blockage free drains. Ignoring a drainage problem won’t help. If you find that drain blockages are occurring more frequently, you should consider drain jetting as a preventative maintenance action for your drainage problem. Directly after dealing with a blocked drain is the best time for sewer jet cleaning, to make sure the same blockage won’t be happening again. 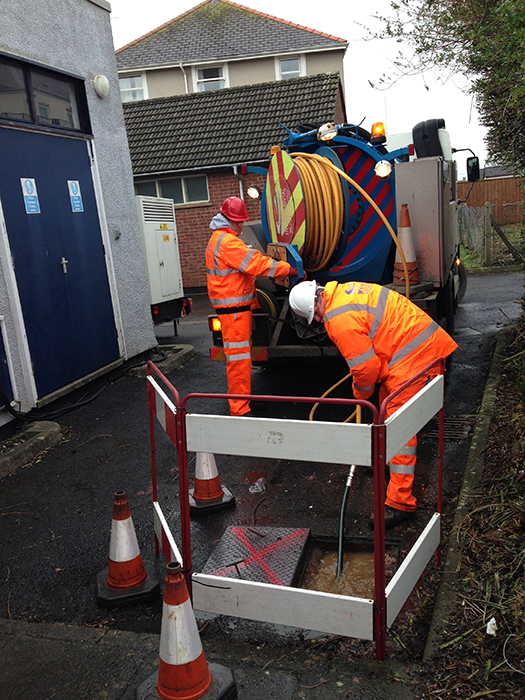 When our drainage engineers are on site they will inform you whether drain jetting is advisable or not required. If you’re interested in finding out more about our drain jetting service, give us a call on: 01837 54429 – we’ll be able to discuss further details and the charges involved.